Cinemax has announced that the final season of Strike Back will debut on Friday, July 31st, at 10pm. There are 10 episodes. CINEMAX has confirmed that the fourth and final season of STRIKE BACK will debut FRIDAY, JULY 31 (10:00-11:00 p.m. ET/PT). Philip Winchester and Sullivan Stapleton star in the Emmy(R)-nominated action series, which follows a stealth counterterrorism unit as it spans the globe to stop potential threats, often behind enemy lines. STRIKE BACK is a CINEMAX Presentation in association with British Sky Broadcasting Limited; a Left Bank Pictures Production; executive producers, Andy Harries for Left Bank and Cameron Roach for Sky; series producers, Michael Casey and Sharon Hughff. What do you think? Do you like this series? Will you be watching the final season? 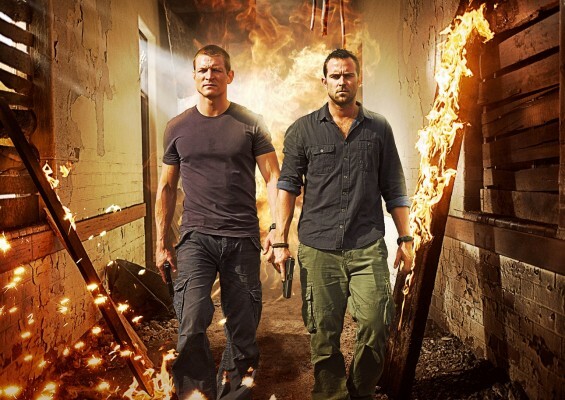 More about: Strike Back, Strike Back: canceled or renewed? Love this show. Bought it by accident and got hooked on first episode. Totally teed off that it has been cancelled. Why??? It has everything action, entertainment and the Casanova in it. you bet I’ll be watching, This is a meaty very well written show, Love the actors too, Will certainly miss it! Finally got a top notch, exciting, action packed show for grownups and this is supposed to be the last season. My husband and I will both certainly watch all ten episodes of the last season. You might want to rethink making this ther last season. i can’t wait for the final season to start and i’m glad i stumbled on to this Great show in season 2. i hope they have a marathon of the entire series prior to season 4. it’s too bad they’re cancelling this awesome show….bummer! The unit was crap. This show is pretty decent however . Despite the odd wrinkle or two it gets a lot of things right and is incredibly entertaining as well. It’s a shame they are finalising this series. It’s one of the best action shows I’ve seen. Will miss the show, an amped up cable version of the Unit.